Everyone wants a quick credit score fix. Google–fix bad credit—3,200,000 results! Unfortunately it takes time to fix a credit score. In fact, out of all of the ways to improve a credit score, quick-fix efforts are the most likely to backfire, so beware of any advice that claims to improve your credit score fast. You need to rebuild your credit over time. The tips below will help you do that. They are divided up into categories based on the data used to calculate your credit score. Check Your Credit Report – Credit score repair begins with your credit report. If you haven’t already, request a free copy of your credit report and check it for errors. 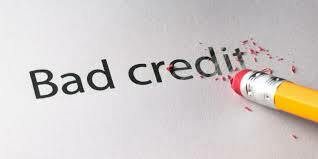 Your credit report contains the data used to calculate your credit score and it may contain errors. Check to make sure that there are no late payments incorrectly listed for any of your accounts and that the amounts owed for each of your open accounts is correct. If you find errors on any of your reports, dispute them with the credit bureau. Setup Payment Reminders – Making your credit payments on time is one of the biggest contributing factors to your credit scores. You could consider enrolling in automatic payments through your credit card and loan providers to have payments automatically debited from your bank account, but this only makes the minimum payment on your credit cards. You need to do more. Reduce the Amount of Debt You Owe – This is easier said than done, but reducing the amount that you owe is going to be a far more important achievement than improving your credit score. The first thing you need to do is stop using your credit cards. Come up with a payment plan that puts most of your available budget for debt payments towards the highest interest cards first, while maintaining minimum payments on your other accounts. Only use cash and keep a spending dairy. Learn where your money is going….do you really need Starbucks every day? Your payment history is 35% of your FICO Score, this category has the greatest effect on improving your scores, but past problems like missed or late payments are not easily fixed this takes time. Do NOT be late!!! A day late is still late. No fudge room. The longer you pay your bills on time after being late, the more your FICO Scores should increase. Older credit problems count for less. The impact of past credit problems on your FICO Scores fades as time passes and as recent good payment patterns show up on your credit report. So pay on time every time! It will stay on your report for seven years. Sorry. Don’t go into collection. The amount you owe creditors is 30%of your FICO Score and can be easier to clean up than payment history, but that requires financial discipline and understanding the tips below. Don’t borrow from Peter to to pay Paul. In fact, owing the same amount but having fewer open accounts may lower your scores.